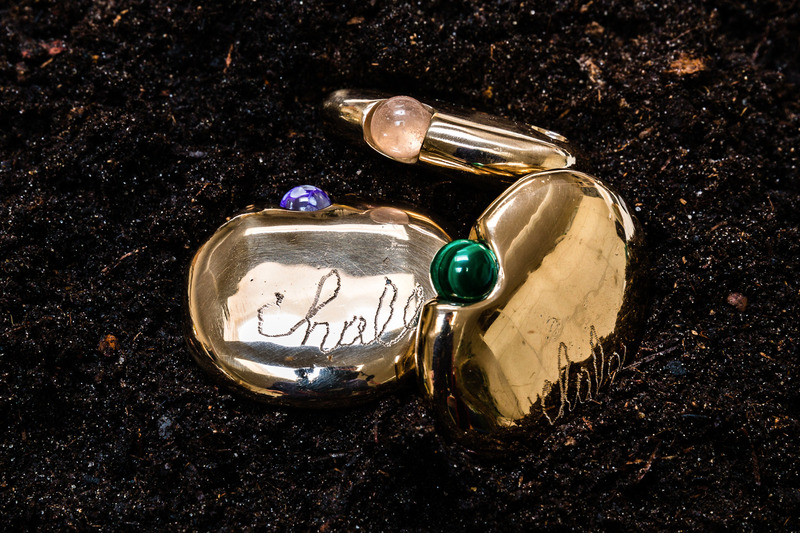 In August, BOZAR Brussels will turn the spotlight on Belgian designer Adolphe Pelsener, who is better known as Ado Chale. He was born and raised in Brussels, and as a young man, he became fascinated with blacksmithing and mineralogy. In the 60’s, Chale opened his first gallery, together with his wife Huguette Schaal. In this space, redesigned by architect André Jacqmain,he showed his jewellery, minerals and his very first furniture designs, but also the work of contemporary artists such as Emile Souply and Pierre Culot, who created a facade with a diamond point. The gallery was a meeting place for antique dealers and collectors. 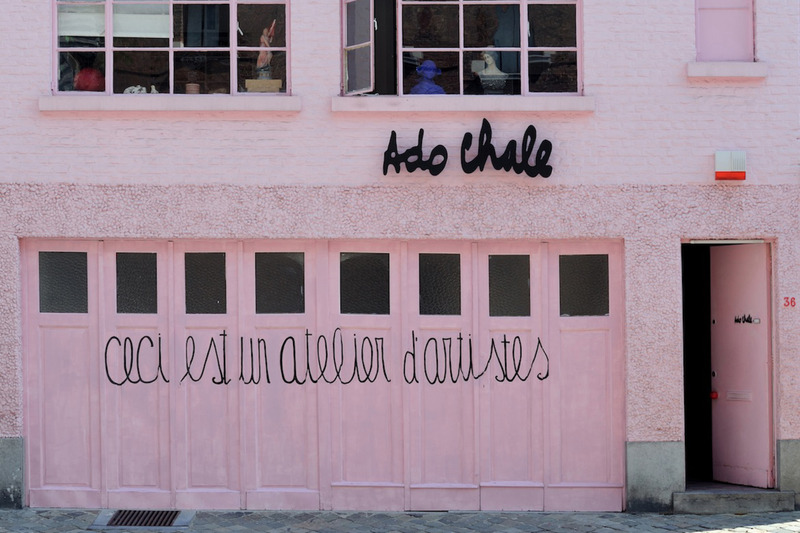 Chale was one of the first to combine contemporary art and furniture with art premier in his gallery, and he played an important role in the Brussels avant-garde scene. Ado Chale’s tables, sculptures, bowls, and other objects express his interest in the expansive possibilities of the natural world. He works with a great variety of materials, textures and forms, and creates rich mosaics with wood, stone, metal and unusual materials such as peppercorns and bones. Today his works are priceless and hard to find. 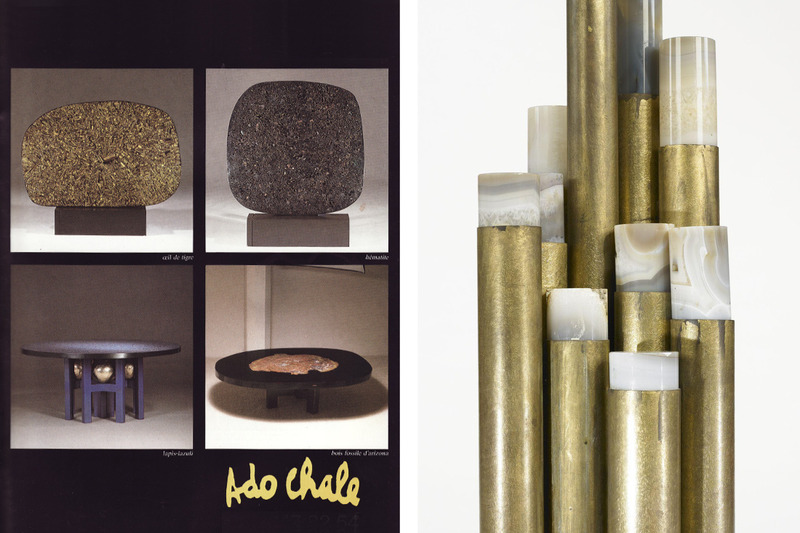 This very first retrospective gives a fascinating insight in the career and world of Ado Chale. Carefully selected pieces of furniture and objects can be seen from 18/08 till 24/09 at BOZAR Brussels. 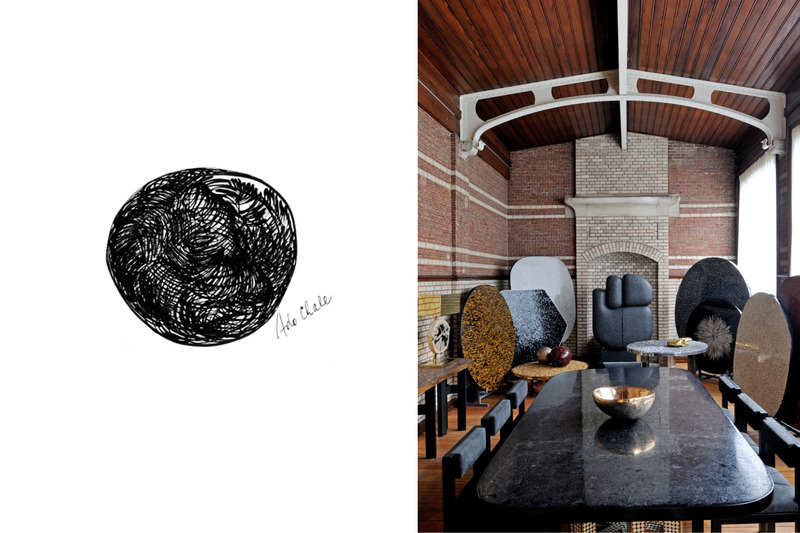 Left: sketch of a bronze sphere Chale designed for Les Sapins de Noël des Créateurs in 2014. Right: view of Ado Chale’s atelier. 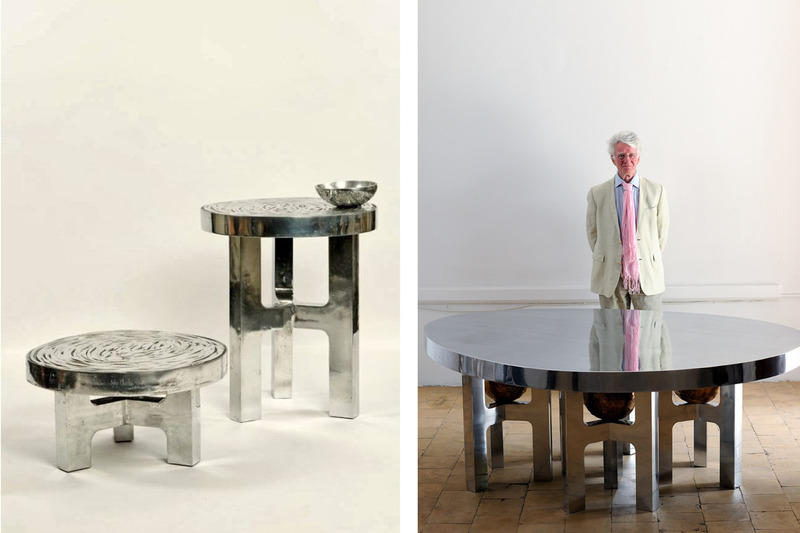 Left: set of side tables in Aluminium. Right: portrait of Ado Chale , in the front a dining table with bronze sphere sculptures. Close up of early jewellery designs. Left: advertisement from VILLA magazine of the mid 80’s. Right: detail of a muliticylindered bronze lamp with agate stone details.